AIA New Jersey is creating the first inaugural State Emerging Professionals Committee and is looking for individuals to take on this great leadership opportunity. The role of the committee will be to offer support and guidance to local sections for providing programming and resources to their Emerging Professionals. They will be the open line between Emerging Professionals and State leadership. There will be five (5) positions on this committee. Please consider this tremendous leadership opportunity for young architects. Additional information, including detailed descriptions of the positions, will be emailed to CEPA members in the near future. All interested should apply to Regional Associate Director, Nick Caravella, nick_caravella@gensler.com, by August 21,2015. Candidates will be notified of their selection September 7th, 2015. 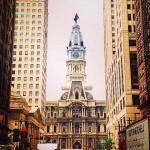 We’re happy to announce the AIA-WJ Philadelphia Walking Tour scheduled for Saturday, September 19, 2015. The tour will include the PSFS Building (upper floor, lobby and exterior), the old Reading Terminal Train Depot and Philadelphia’s City Hall. The tour will begin at 10:30 am and will end at approximately 12:30 pm at the Reading Terminal Market where members can have lunch on their own. Because of the nature of the tour we are limited to only 30 participants. Registration will be on a first come first served basis. Cost will be $25 for AIA members and $35 for non-members. The tour will provide 2 CEUs. (Pending) Members should RSVP to John Glaviano at JGlaviano@KitchenandAssociates.com. Are you a recent architecture graduate? Have you or your firm recently hired a new graduate to join your office? Now’s the time to take advantage of FREE Associate AIA Membership beging offered by AIA National. See item 2 below! AIA-West Jersey would like to announce the appointment of Quinn de Menna, AIA to the AIA Design for Aging (DFA) Advisory Group. The eight (8) member national leadership board advocates for innovative design and shares research findings with professionals via the AIA DFA Knowledge Community, to promote quality of life and superior environments for an aging society. Quinn de Menna, AIA is currently Director of Architecture at Alberto & Associates, Inc. located in Haddonfield, NJ, and a frequent attendee of AIA-WJ sponsored events. 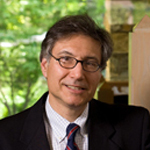 Mr. de Menna has participated in efforts such as the AIA Design For Aging ADA Task Force and presented at national Senior Living Conferences including Leading Age Annual Meeting, American Society on Aging, Pioneer Network and others; on topics ranging from Dining Trends to Accessible Toileting and Bathing. AIA-WJ is honored to have one of its members represented on this national board. Visit to the West Jersey Architect download page. 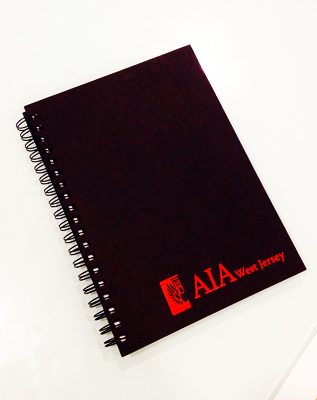 The West Jersey Architect is an exclusive publication for members of the AIA West Jersey Chapter. Download the current issue of the West Jersey Architect below. 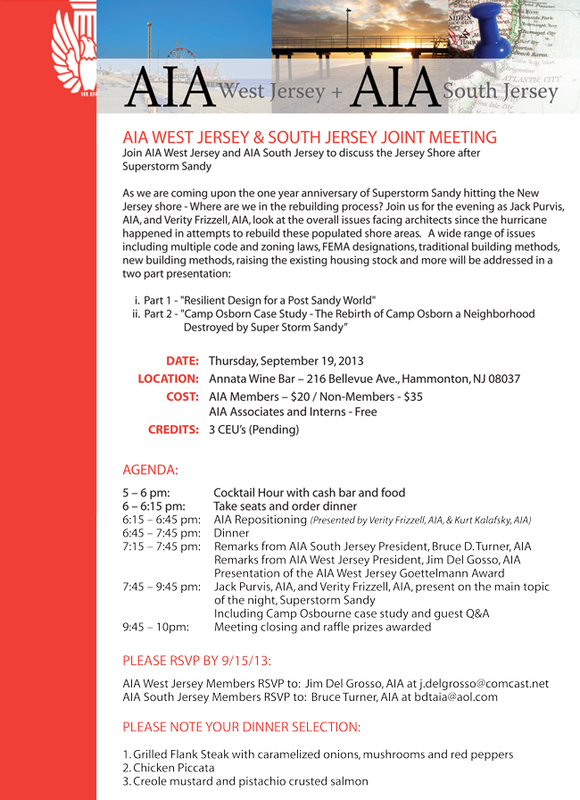 Meet up with fellow AIA members to learn about the rebuilding process for the Jersey Shore following Superstorm Sandy as well as the Repositioning of AIA and its impacts on the architecture profession. A cocktail hour, dinner and raffle will be held and 3 CEU’s will be offered. The Louis Goettelmann Award will also be presented to a member of the AIA-WJ chapter for service to the Chapter. The cost is $20 per member, free for Interns & AIA-Associates and $35 for non-members. RSVP to Jim DelGrosso at j.delgrosso@comcast.net by September 15. For more information, check out the graphic below. 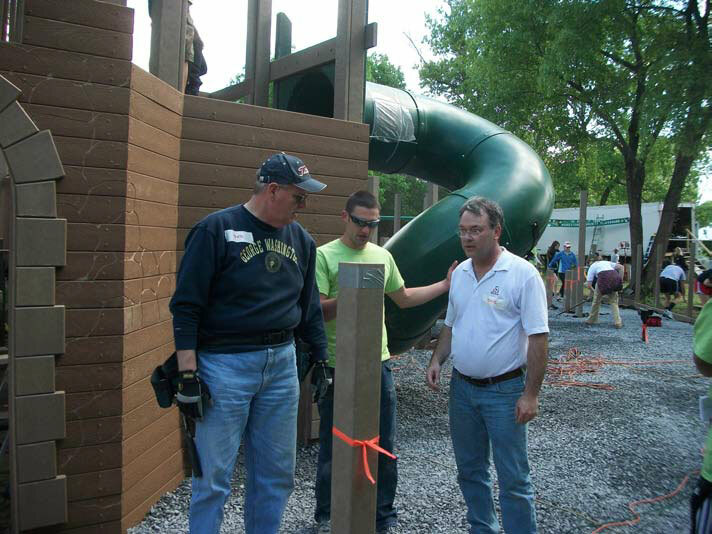 On Saturday, April 30, members of AIA West Jersey assisted in a community service project of rebuilding a playground at Fullerton Park in Moorestown, NJ. 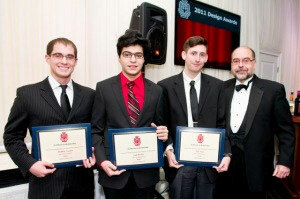 The 2011 AIA New Jersey Scholarship Awards were presented at the 2012 AIA New Jersey Inaugural Banquet and Kyle Ryan of Voorhees, New Jersey, was awarded the top scholarship by the AIA New Jersey Scholarship Foundation. 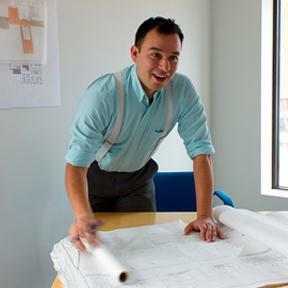 Kyle Ryan is a part of the AIA West Jersey Section & Region. All of AIA West Jersey would like to say Congratulations! The AIA New Jersey Scholarship Foundation Inc. maintains a program of scholarship grants to qualified architectural students from New Jersey or attending architecture school in New Jersey for the purpose of recognizing scholastic achievement, demonstrated talent, and potential for success in the profession of Architecture. Financial need is also a consideration for the award of scholarship funds. It is noted that funds for the program come from contributions and fundraising efforts of AlA New Jersey members, interested sources in the construction industry, and private individuals located in New Jersey. This coming Saturday, February 5, 2011, we are having our first monthly Associate/Intern Committee Meeting of the year at the Cherry Hill Library from 9:30am to 12 noon. The focus of this meeting is on IDP & you. The meeting will include a presentation by Nicole De Candia, LEEDap, Associate AIA, AIA-NJ IDP Coordinator 2011-2014. Nicole will be discussing all of the recent changes to IDP & the IDP Process with an added focus on “supplementary education units,” which in essence are hours one can earn while unemployed. This meeting is very informal and we are expecting to have a lot of group discussion, so please take the time before Saturday morning to organize and prepare your thoughts/questions for Nicole. Also, feel free to bring any of your personal IDP information to the meeting because Nicole will be answering any questions and/or specific topics that you may have regarding the latest version of IDP & the IDP process. We would like to get a head count prior to Saturday morning so please contact either Bob O’Reilly, AIA or Jim Del Grosso, AIA, before the end of the day Friday, February 4, 2011, if you will be in attendance. Thank you and we will see all of you this Saturday morning!